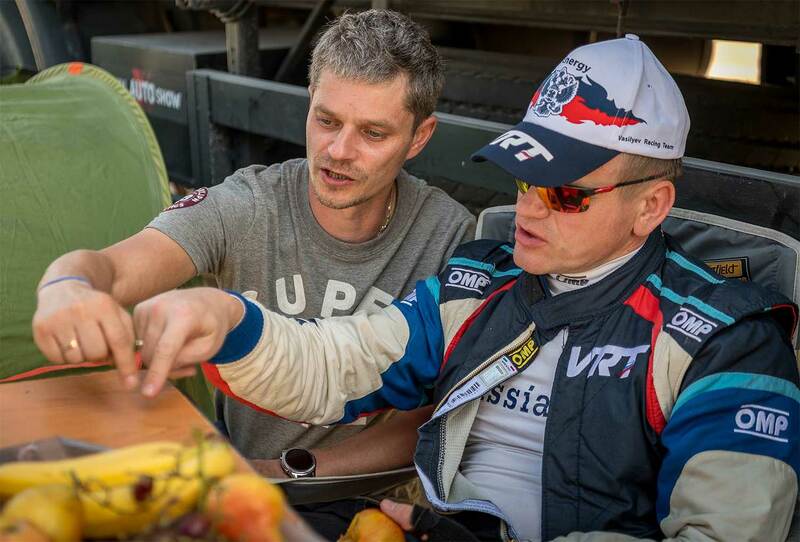 Vladimir Vasilyev and Konstantin Zhiltsov from the Russian G-Energy Team are back in the FIA Cross Country Rally World Cup in Qatar, fighting for the overall win in the Championship. After the first three rounds in Russia, Dubai and Abu Dhabi, Vasilyev from St. Petersburg is on third position. 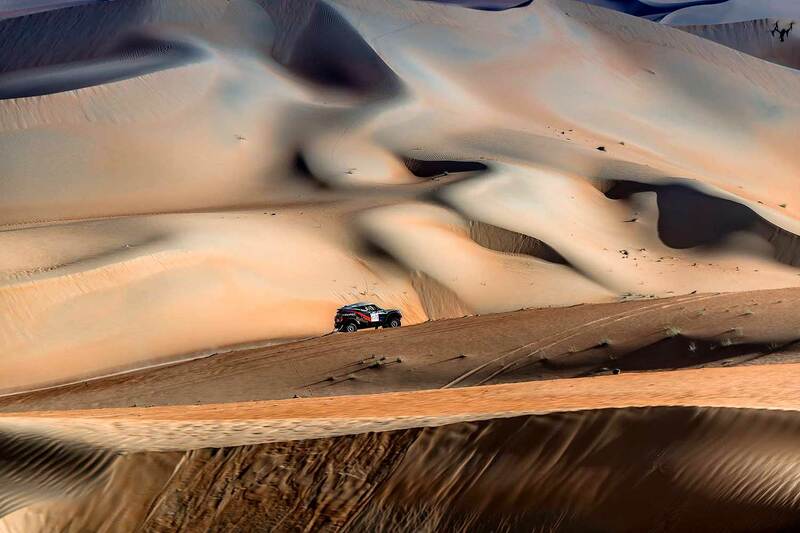 The G-Energy team driver is familiar with the Qatari roads, or rather impassability, because the main movement on the track here is a course on a stony desert with patches of salt marshes, sands and high sand hills. "The feature of the race in Qatar is the fast route, but the most important thing is complex navigation," stated Vladimir Vasilyev. "It is necessary to drive very accurately, follow the course, listen to what the co-driver says, that is, work in the team. If you do not listen to the co-driver, do not refer to the course and make a mistake about five degrees, then everything can go wrong." He continued: "The second feature is the stony road surface. There are lots of stones and a hard covering, some sand inclusions, but they are few. Rubber suffers from the stony surface. It is necessary to avoid the tyre punctures by stones, to watch out so as not to slide and save the rubber for the finish." 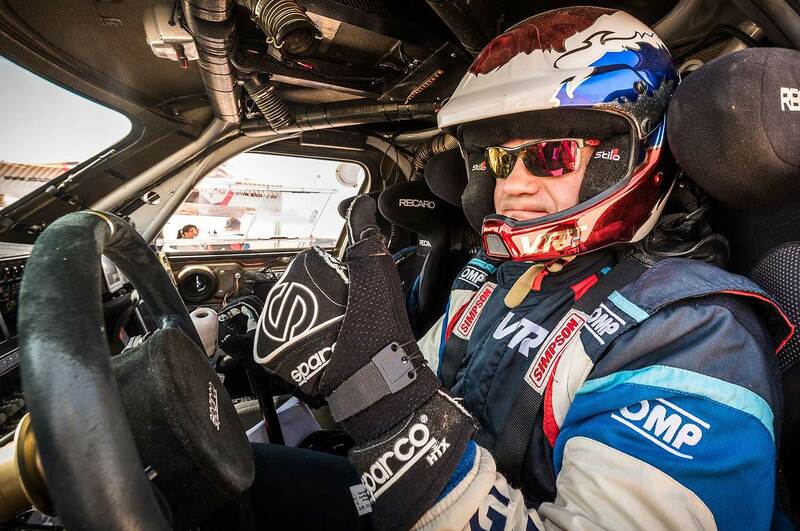 Codriver Konstantin Zhiltsov has already visited Qatar – his sixth start here gives the right to call him a veteran of this race, whose experience helps to take an unbiased look at their strength and capabilities. "This race has two principal features," said Zhiltsov. "The first is that Nasser Al-Attiyah knows every millimeter here (laughing), and it’s very difficult to fight with him because he lives in Qatar. And second, there is a very complex navigation." "It’s not very confusing; the problem is an enormous amount of roads here. Every 100 meters there is a junction in the road book, or even five or six branches; in each position there is a course and here, in principle, it is possible to paper over the windshield, because there is no time to look there. There is no time to check the course, there is no time to check whether the driver turned correctly, because you constantly have to read something." "The coordination of the crew actions is very important here, I always say this. 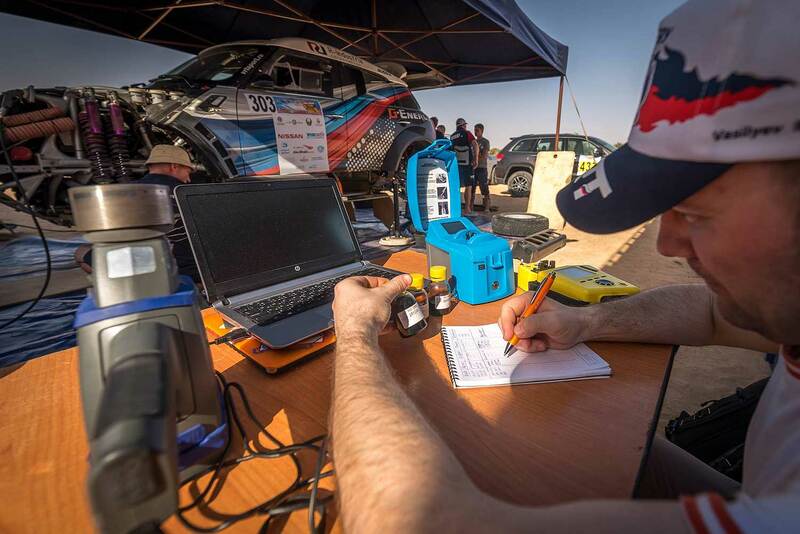 At the Qatari race the co-driver reads positions from the book, bindings and everything else, and the driver’s task is to clearly perform what the navigator says. If you turn a meter further, the crew will not get to the necessary road." In addition to accurate orientation, it is necessary to remember the main thing – visiting control points. In Qatar the corridor for taking the control point is usually about 200 meters, and the manner of driving here differs completely from the other races, where after the GPS device response in the car, signaling the point taking, you can turn and go further. It is necessary to reach the center of this point here and only then turn in the right direction. The thing is that for hundreds of meters from the moment of entry into the point radius of action to its center there may be two, three or four more roads. The main thing the drivers note when commenting on the Qatari race is the lack of ties, because the main part of the route is laid along a low sandy plain resembling the steppe and along the sea. "The dunes are located along the sea," said Konstantin Zhiltsov. "And it all depends on which valley you enter from which side of the crest. Sometimes there are miles of absolutely flat area, but there are places, where you need to jump over the dunes all the time. The points are sometimes located this way, and the dunes are turned to the sea so that if you, for example, take a point and “fall” to the opposite side, it is impossible to climb this dune. When I participated in this race with Jean-Louis Schlesser, there were cases when we specially accelerated in such a way as to “touch” the point and leave. There is specificity, and those who drove here know it, but such mistakes can be fatal in terms of wasting time."